Dr. Delbert Kwan, Board certified in adult and pediatric urology, and Dr. Richard Paul, Board certified in adult and pediatric urology and urologic oncology, have joined Beebe Medical Group’s newly formed Beebe Center for Urologic Services. The practice locations in Lewes and Milford (formerly Urology Associates of Southern Delaware) will remain open for the treatment of both existing and new patients. With the addition of the Beebe Center for Urologic Services, Beebe Medical Group continues its expansion, and is currently comprised of 18 specialty offices in 25 locations throughout Southern Delaware, with more than 101 medical providers and 151 support staff. Drs. Kwan and Paul have treated patients in the Lewes and Milford areas for nearly 20 yearsand both are experts in their field. 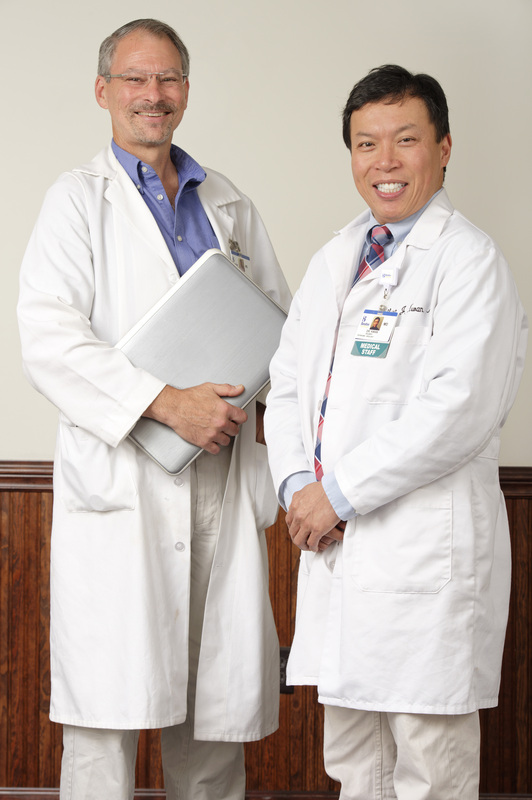 Dr. Kwan has been a member of the Beebe Medical Staff since September of 1998, and Dr. Paul has been a member of the Beebe Medical Staff since May 1997. Dr. Kwan earned his undergraduate degree from Columbia University and his medical degree from Mount Sinai School of Medicine, in New York. He completed his internship in general surgery and residency in urology at St. Luke’s-Roosevelt Hospital Center, Columbia College of Physicians and Surgeons, in New York. In addition, Dr. Kwan completed his fellowship in Voiding Dysfunction, Female Urology and Pelvic Reconstruction at the University of Washington Medical Center in Seattle, Washington. Dr. Paul earned his undergraduate degree from Stanford University in California and his medical degree from Washington University School of Medicine in St. Louis, Missouri. He completed his internship in general surgery and his residency in urology at the University of Rochester Medical Center in Rochester, New York. In addition, Dr. Paul completed his fellowship in urologic oncology at the Roswell Park Cancer Institute, in New York. Dr. Paul also serves as a member of the Beebe Healthcare Cancer Committee. Both doctors perform urologic surgical procedures at Beebe Healthcare. Beebe Medical Group providers comprise the specialties of dermatology, endocrinology, gastroenterology, otolaryngology, vascular, surgical oncology, internal medicine and family practice. Hospital-based providers include: the Hospitalist division and its nurse practitioners; the Observation Unit nurse practitioners; the neonatal nurse practitioners with the Women’s Health Department; and Dr. Abraham Scheer, the Board-Certified neurologist who oversees Beebe’s accredited Stroke Center. Caption: Pictured here, left to right, Richard C. Paul, MD, and Delbert Kwan, MD.